How much do you love pizza? Pizza sneakers. You definitely read that right. Because, why not? These glorious cheesy creations are going to be auctioned off starting at $275 and proceeds donated to womenwin.org, an organization that empowers gender equality through sports. Would you purchase this pepperoni perfection if it was for a good cause? As much as I love my pizza, I don’t think I would be able to rock these. Love the fact that it’s going to charity, but then I would be left with pizza sneakers…. and the only pizza I want to have is one that I can eat. What about you? Get in on the conversation and see what other Toluna Influencers are saying! 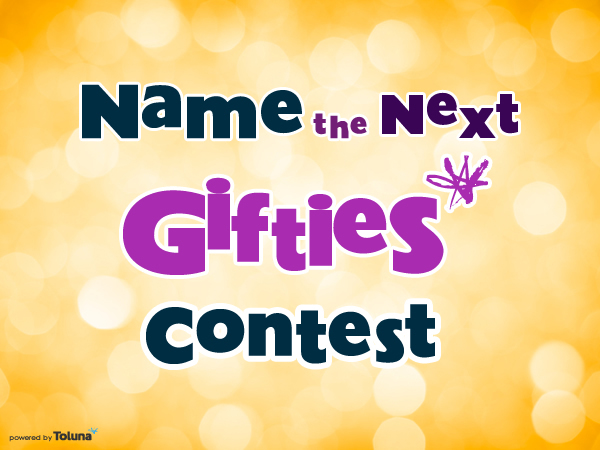 Thank you to everyone for their suggestions on the first part of our October, Name the Next Giftie contest! We’ve reviewed all 350 suggestions, and have chosen our top five for you to vote on. Please check out the poll here, and cast your vote today! Voting for the next Giftie ends Monday October 27th. 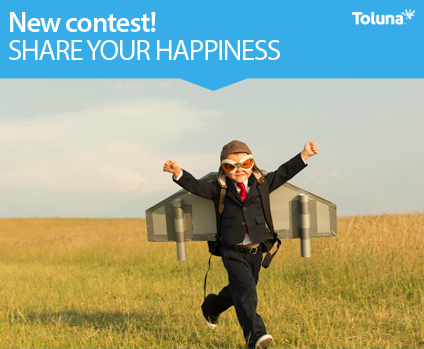 We will announce the winning Giftie suggestion to the Toluna Community on Friday, October 30th!. Just as a reminder, the member who made the winning suggestion will be awarded 15,000 points and will see the Gifties added to the catalog by Monday November 3rd, 2014!! For official contest rules and details, click here. *Terms and Conditions: Promotion is open to US residents only, age 13 or older. All Giftie suggestions and posts to the assigned Toluna Team topic must adhere to the Toluna Member Code of Conduct,and must not include any language that is obscene, insulting, threatening, abusive, harassing, defamatory, libelous, untrue, misleading or invasive of someone else’s privacy. Toluna reserves the right to review all posts for content, and withhold bonus points from any user violating the rules mentioned above. Inappropriate posts will be removed, and posts that violate any Toluna terms will be removed, and the member’s account will be subject to closure, and all points will be forfeited. Giftie suggestions will be accepted through Friday, October 17th, and members will have the opportunity to vote on the five (5) top choices, as selected by the Toluna team. The top five (5) ideas and members who provided them will be announced by 5 PM EST on Monday, October 20thd.The member with the final winning suggestion will also be notified via email, and the 15,000 points will be awarded to the winner no later than Monday November 3rd, 2014. In the event the winning Giftie was suggested by multiple members, we will award each member 5,000 points. A big thank you goes out to our Featured User, NClady71’s, for inspiring this week’s spotlight, as well as, to all of her topic’s contributors. Feel free to join in the conversation and commenting on the topic here. To be considered for next week’s community spotlight, post a link or title to your poll, opinion, thumb it or battle on the TolunaTeam topic here. If selected, we will contact you via email, and will post a message on your Wall so all of your followers and friends will know that you are a Featured Toluna User.